Hello everyone, I'm Huy. This is blog is for atWare Advent calendar 2015, 10th day. 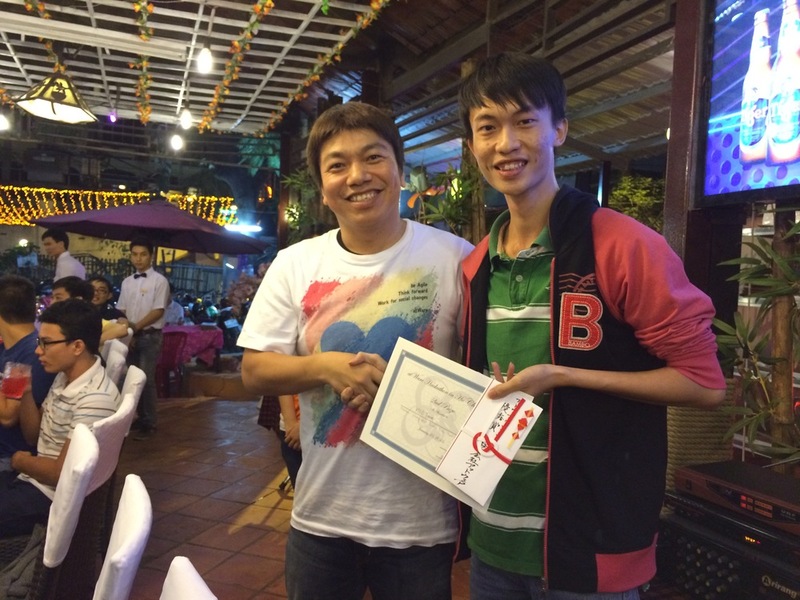 This January (2015) is the first time we held a hackathon at Ho Chi Minh University of technology in Vietnam. More than 20 team registered, over 50 students joined the event. It's quite a great experience that we have ever had. And I want to share those experience with you through this blog. I'm the only Vietnamese in the company at that time so I helped contacting with the university in Vietnam to hold the event. It's kind of exciting to be able to come back to school. Took some time to contact with the university, negotiate about the facility and PR for the event but we did it. One day before the event, we arrived to Ho Chi Minh city in early morning, headed to school and prepared facility for the event. Mr.Duy, a teacher at the university and also takes responsible for faculty facility, met us at the university and showed us the room for the Hackathon again. They're computer labs for students and capable of 100 students, ready for the event! Around 8 a.m, all teams gathered in one room. Kitano-san (my boss) announced the theme for the Hackathon. The theme is "smile". The theme idea is based on the company mission that atWare has always been making customers and users since established. 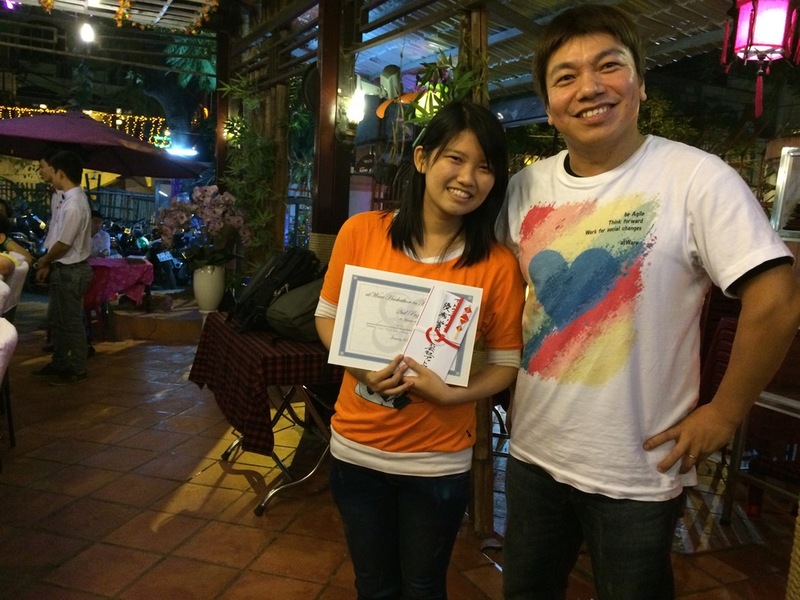 After announcing the hackathon, students could freely implement their application. Most team stayed at the labs to developing. Some teams moved to their own "lab" to implement their IoT product. First day passed by quite fast. We were only able to stay in the lab to 5 p.m. After that, some teams kept on working until midnight in convenient store or their own house. Teams were rushing to finish their application. Many team skipped the lunch because they wanted to spend more time on developing. However, few teams finished and went around, helped other team. We also made a tour and let students "pitch" about their idea. It's the greatest chance for student talk about their idea and we could ask them more about their product because each team only have less than 10 minutes to present in the afternoon. In the afternoon, after all teams presented their work, we had party in a nearby restaurant. Teams are allowed to vote to others. we, judgers, have higher weight in the judgement, but look like the winner was quite clear. It's an IoT product, named Rito (implied "Very good" in Vietnamese, credited by creator). Rito is a smart pillow with emotion. Whenever you hold it tight enough, it will smile. If you stop holding it for a while, it’ll be sad. It’s a great experience. I hoped that the hackathon could somehow inspired student making something that makes people happy, like our company's mission for 11 years "Make people happy by system".